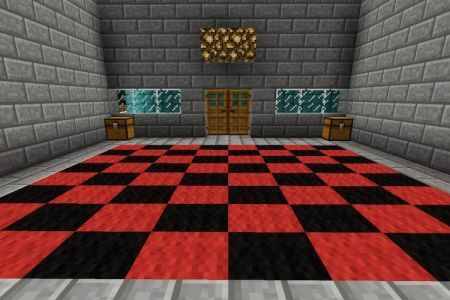 making a Minecraft checkers board is very easy and its a fun game to play with a friend! Build yourself one and hold tournaments, winner takes all. 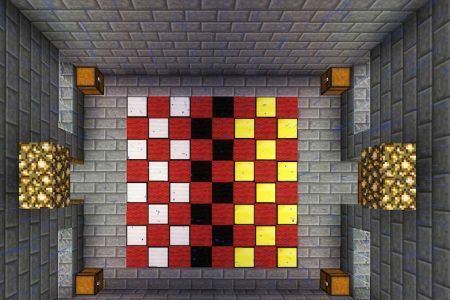 Checkers is an awesome game that is easy to make and a lot of fun to play. Its simple enough that you can make the board quickly, not use a lot of materials, and learn the game rules just as fast. This game does require 2 people to play. 1. Each player starts with 12 pieces placed in the first 3 rows closest to them, on the black blocks. 3. Players can only move forward and not back until they become a king, which is done by reaching the last row on the opposite end of the board. Kings can move forward or backwards. When a player becomes a king, switch your block from a gold/iron plate to a full iron or gold block. 4. If your piece is next to the opponent, you must jump over them, capturing (and removing from the board) their piece in the process. You can only jump forward, unless your a king. 5. The goal is to remove all of your opponents pieces from the board, the first to do that wins! A standard checkers board is 8 x 8 totalling 64 blocks. 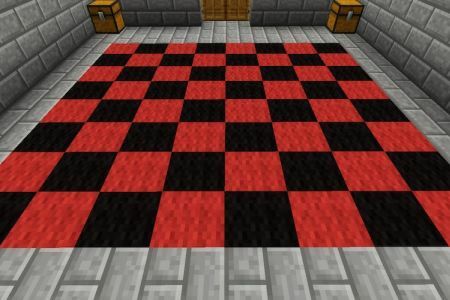 Start by placing a black block, and then a red wool block and repeat that pattern for 8 blocks. 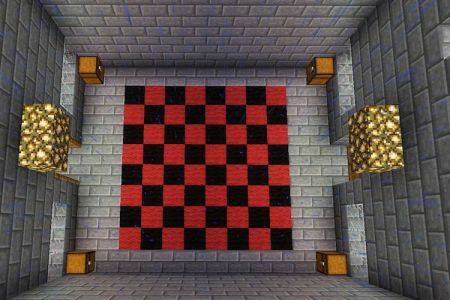 Go back to the start and repeat the process, but use a red wool block first and then a black block for 8 blocks again. Repeat the process again with the black block, until you have an 8 x 8 board. You should have a total of 4 rows start with black and 4 with red which alternates, like in the photo.